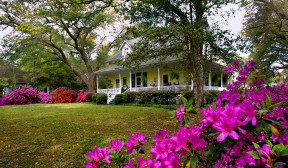 Gulf Coast B&B's offer a singular experience of Southern hospitality, personalized care, home-cooked extravagance and unforgettable moments in the sun. There are two B&B inns in the Gulf Shores-Orange Beach area and they are textbook examples of everything that makes these accommodations so special. In Orange Beach, the Original Romar House Bed & Breakfast Inn is set on the Gulf with private access to the beach, sparkling beach-view pools, hot tub, swing and hammock, and an outdoor patio with sweeping views. What's Biting: Are white marlin like puppies?